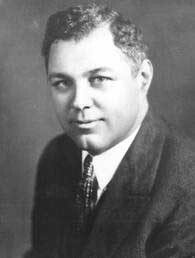 A graduate of the school, he later served for twenty-four years as a director of the Princeton Theological Seminary. But history remembers the man primarily for a series of letters that he wrote under a pseudonym. Indeed, a fair amount of his published work dealt with the Roman Catholic Church, in which he had been raised in Ireland. Nicholas Murray was born on Christmas day in 1802, in Ballinasloe, County Galway, Ireland. He emigrated to the United States in 1818, at the age of 16, serving as a apprentice printer at Harpers in New York City, to support himself. It was during this time that he came under conviction of his sins, responded to the Gospel, and left the Roman Catholic Church. In particular, it was a sermon delivered by the Rev. John Mitchell Mason that the Lord used to bring young Murray to saving faith. Subsequently he sat under the preaching of the Rev. Gardiner Spring for a year and a half. In time he was able to graduate from college and then at Princeton prepared for the ministry. 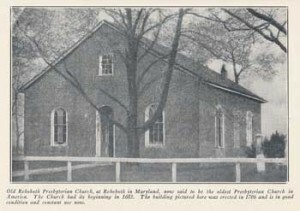 As pastor of the First Presbyterian Church in Elizabeth, New Jersey, he became a prominent figure in the Old School wing of the Presbyterian Church in the U.S.A., even serving as Moderator of the Sixty-first General Assembly, in 1849. For several years Rev. Murray had considered a project of writing a series of letters, presenting his own experience in the Roman Catholic Church and how he was led to leave it. Friends encouraged him in this effort, and eventually the letters began to be published on the pages of The New York Observer, under the pseudonym of Kirwan. The actual Kirwan had been an Anglican Dean and like Rev. Murray, had himself once been a Roman Catholic. Murray probably took up the pseudonym out of respect for this Anglican preacher. A second series of letters began to appear in newspapers in October of 1847. This second series, less popular among Protestants, was actually more effective among Roman Catholics. Both series had been addressed to the Roman Catholic bishop of New York, the Rev. John Hughes, though Hughes ignored the appearance of the first series, and only upon publication of the second series did Bishop Hughes compose any response. Rev. Murray continued to write on this subject until about 1852. The Rev. Nicholas Murray died on February 4, 1861, and it was on March 31, 1861 that the Rev. James Baird brought a memorial address in his memory. A large biographical memoir was issued the following year by the Rev. Samuel Irenaeus Prime. The Lord brought this young man across an ocean in order to save him. No obstacle is too great for our God. The Lord works sovereignly, where and when He will, extending His grace and mercy to the least of men and to the greatest of sinners. He raises up the most unassumingly and unlikely, to do great works for His glory. Only in eternity will it be revealed the extent to which the Lord has used each of His children in extending His kingdom. Murray, Rev. Nicholas, Letters to the Rt. Rev. John Hughes, Roman Catholic bishop of New York (1851). Baird, Rev. James, A Discourse delivered in the First Presbyterian Church, Carleton, City of St. John, N.B., on Sabbath, 31st March, 1861: In Memory of the late Rev. Nicholas Murray, D.D., author of the “Kirwan Letters” &c., who opened the above church nearly four years ago. Prime, Samuel Irenaeus, Memoirs of the Rev. 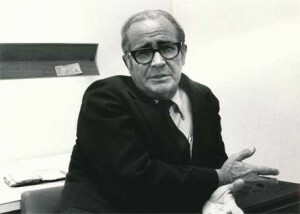 Nicholas Murray, D.D. 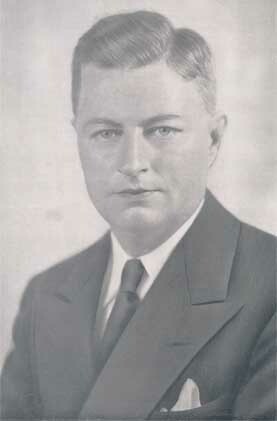 (“Kirwan”). Not a sermon for this Lord’s Day, but rather a testimony, this is one of Dr. Machen’s lesser known works. This brief testimony, titled “My Idea of God,” appeared in a book of the same name, a gathering of statements largely philosophical, which only served to make Machen’s testimony stand out all the more. JOHN GRESHAM MACHEN was born in Baltimore in 1881. After graduating from Johns Hopkins and Princeton Universities and the Princeton Theological Seminary, he studied in Marburg and Gottingen Universities, and was ordained to the Presbyterian ministry in 1914. Since 1914 he has been associate professor of New Testament literature in Princeton Seminary, doing work betimes with the French Army and the A.E.F., in France and Belgium, during the World War. 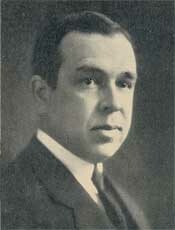 Besides textbooks of Greek and many articles in reviews, Dr. Machen has written two books of unusual quality for general readers, Christianity and Liberalism (in which he holds that liberal Christianity is not Christianity at all, but a confection of modern theories exactly opposed to the Christian faith, with which there can be neither compromise nor unity) and What Is Faith? which inspired an extraordinary symposium in The British Weekly. In the recent discussion which has agitated the Churches – now happily subsiding – Dr. Machen was the outstanding exponent of the conservative attitude, adding to a vital mind a lucid logic and a cogent style which left no shadow upon his meaning. His essay has value equally for its directness and its sincerity. His revelation of Himself. And it is extremely unlikely that such revelation should have come to me alone. I reject, therefore, the whole subjectivizing tendency in religion that is so popular at the present time – the whole notion that faith is merely an “adventure” of the individual man. On the contrary, I am on the search for some revelation of God that has come to other men as well as to me, and that has come into human life, not through a mere analysis of human states of consciousness but distinctly from the outside. Such revelation I find in the Christian religion. The idea of God, therefore, which I shall here endeavor to summarize is simply the Christian idea. I have indeed been enabled to make it my own; I love it with all my heart; but I should not love it if I thought that it had been discovered merely in the depths of my own soul. On the contrary, the very thing that I love about it is that it comes to me with an external authority which I hold to be the authority of God Himself. At this point, however, there will no doubt be an objection. We have spoken about the knowledge of God; but in reality the knowledge of God, it is often said, is unnecessary to our contact with Him, or at least it occupies merely a secondary place, as the symbolic and necessarily changing expression of an experience which in itself is ineffable. Such depre-. ciation of knowledge in the sphere of religion has been widely prevalent in the modern world, and at no time has it been more prevalent than now. It underlies the mysticism of Schleiermacher and his many successors; it underlies the Ritschlian rejection of “metaphysics”; it underlies the popular exaltation of “abiding experiences” at the expense of the mental categories in which they are supposed to be expressed; and in general it is at the roots of the entire separation between religion and theology, experience and doctrine, faith and knowledge, which is so marked a characteristic of the religious teaching of the present day. In opposition to this entire tendency, I for my part must still insist upon the primacy of the intellect. It may seem strange that the intellect should have to be defended by one who has so slight an experimental acquaintance with it as I; but reason in our days has been deposed from her queenly throne by pragmatism the usurper, and, wandering in exile as she does, cannot be too critical of any humble persons who rally to her defense. And, as a matter of fact, the passionate anti-intellectualism of the present age is having its natural fruit in a lamentable intellectual as well as moral decline. Such decadence can be checked – I, for my part, believe – only by a reemphasis upon truth as distinguished from practice, and in particular only by a return from all anti-intellectual mysticism or positivism to the knowledge of God. Certainly, unless our contact with God is based upon knowledge of Him it ceases to possess any moral quality at all. Pure feeling is non-moral; what makes my affection for a human friend, for example, such an ennobling thing is the knowledge which I possess of the character of my friend. So it is also with our relation to God: religion is moral and personal only if it is based upon truth. If then, in order that there may be a moral and personal relation to God, there must be knowledge of Him, how may that knowledge be attained? I have no new ways to suggest: the only ways of knowing God which I can detect are found in nature, in conscience, and in the Bible. God is revealed, I hold, in the first place through the things that He has made. “The heavens declare the glory of God, and the firmament showeth His handiwork.” This revelation of God through nature is commonly called – or used to be commonly called – “natural religion.” And natural religion is by no means altogether dead. Modern men of science, if they be thoughtful, admit that there is a mystery in the presence of which the wisdom of the wisest men is dumb; the true man of science stands at length before a curtain that is never lifted, a mystery that rebukes all pride. But this revelation through nature is far richer than many men of science suppose; in reality it presents to us not merely a blank mystery, but the mighty God. The revelation comes to different men in different ways. For example, when I viewed the spectacle of the total eclipse of the sun at New Haven on the twenty-fourth of January I925, I was confirmed in my theism. Such phenomena make us conscious of the wonderful mechanism of the universe, as we ought to be conscious of it every day; at such moments anything like materialism seems to be but a very pitiful and very unreasonable thing. I am no astronomer, but of one thing I was certain: when the strange, slow-moving shadow was gone, and the world was bathed again in the wholesome light of day, I knew that the sun, despite its vastness, was made for us personal beings and not we for the sun, and that it was made for us personal beings by the living God. In the second place, God is revealed by His voice within us. I am perfectly well aware that that voice is not always heard. Conscience has fallen on evil days: it is drowned by a jargon of psychological terms; it is supposed to be rendered unnecessary by an all-embracing network of legislative enactments. The categories of guilt and retribution are in many quarters thought to be out of date, and scientific sociology is substituted for the distinction between right and wrong. But I for my part am not favorably impressed with the change; self-interest seems to me to be but a feeble substitute for the moral law, and its feebleness, despite bureaucratic regulation of the details of human life and despite scientific study both of individual human behavior and of the phenomena of human society, seems to be becoming evident in an alarming moral decline. The raging sea of passion cannot, I think, be kept back permanently by the flimsy mud embankments of utilitarianism; but recourse may again have to be had to the solid masonry of the law of God. In the third place, God is revealed in the Bible. He is revealed in the Bible in a way which is entirely distinct from those ways that have just been mentioned. The Bible tells us things about God of which no slightest hint is found either in nature or in conscience. Of those things we shall speak in a moment. But first it should be observed that, in addition to that fresh information, the Bible also confirms the revelation which has already been given. The confirmation is certainly necessary; for the revelation of God both in nature and in conscience has been sadly obscured. In comparing the fortieth chapter of Isaiah or the first verse of Genesis or the teaching of Jesus with the feeble and hesitant theism which is the highest that philosophy has to offer, and in comparing the unaided voice of conscience with the fifty-first Psalm or the searching law presented in the Sermon on the Mount, one feels that in the Bible a veil has been removed from the eyes of men. The facts were already there, and also the gift of human reason for the apprehension of them; but the light of reason somehow was obscured until in the Bible men were enabled to see what they ought to have seen before. Thus, in these three ways there is attained, I hold, a genuine and objective knowledge of God. Certainly that knowledge does not remove the feeling of wonder which is dear to the mystic’s heart. Indeed, it ought to accentuate that feeling a thousandfold. There is nothing in the knowledge of God which should stifle, but everything which should awaken, the “numinous” quality in religion of which Otto speaks. God has gently pulled aside the curtain which veils His Being from the gaze of men, but the look thus granted beyond only reveals anew the vastness of the unknown. If a man’s knowledge of God removes his sense of wonder in the presence of the Eternal, then he has not yet known as he ought to know. Yet partial knowledge is not necessarily false, and there are certain things which are known about God. At the very centre of those things stands that which is most often denied to-day; the very centre and core of Christian belief is found in the awful transcendence of God, the awful separateness between God and the world. That is denied by modern men in the interests of what is called, by a perversion of a great truth, the “immanence” of God. We will have nothing to do – men say – with the far-off God of historic theology; instead we will worship a God who exists only in and with the world, a God whose life is found only in that life which pulsates through the life of every one of us. Pantheism, in other words, is substituted for theism, on the ground that it brings God nearer to man. But has it really the desired effect? I, for my part, think not. Far from bringing God nearer to man, the pantheism of our day really pushes Him very far off; it brings Him physically near, but at the same time makes Him spiritually remote; it conceives of Him as a sort of blind vital force, but ceases to regard Him as a Person whom a man can love. Destroy the free personality of God and the possibility of fellowship with Him is gone; we cannot love a God of whom we are parts. This devotion to the so-called metaphysical attributes of God is unpopular at the present day. There are many who tell us that we ought to cease to be interested in the question how the world was made, or what will be our fate when we pass through the dark portals of death. Instead, we are told, we ought to worship a God who is not powerful but merely good. Such is the “ethical theism” of Dr. McGiffert and many others; Jesus, it seems, was quite wrong in the stress that He undoubtedly laid upon the doctrine of heaven and hell and the sovereignty of God. We moderns, it seems, can find a higher, disinterested worship – far higher than that of Jesus – in reverence for goodness divested of the vulgar trappings of power. It sounds noble at first. But consider it for a moment, and its glory turns to ashes and leaves us in despair. What is meant by a goodness that has not physical power? Is not “goodness” in itself the merest abstraction? Is it not altogether without meaning except as belonging to a person? And does not the very notion of a person involve the power to act? Goodness divorced from power is therefore no goodness at all. The truth is that overmuch abstraction has here destroyed even that which is intended to be conserved. Make God good and not powerful, and both God and goodness have been destroyed. In the presence of all such abstractions, the heart of man turns with new longing to the Living and Holy God, to the God who is revealed in nature, in the dread voice of conscience, and in the Bible. But as one turns to such a God, there is no comfort but only despair; the whole human race is separated from God by an awful abyss. Strange indeed, to us Christians, seems the complacency of the world; the very root of our religion is found in the consciousness of sin. But at that point, on the basis of such presuppositions, there comes the really distinctive revelation that the Bible contains. It is not a revelation of things that already were true, but the explanation of an act. The Christian religion is based not merely upon permanent truths of religion, but upon things that happened in Palestine nineteen hundred years ago; it is based not merely upon knowledge of what God is, but also on a record of what God did. Into our sinful world – the Christian holds – there came in God’s good time a Divine Redeemer. His coming, marked by a stupendous miracle, was a voluntary act of condescension and love. During the days of His flesh, He proclaimed by His word and example the law of God. He proclaimed it in a new and terrible way that of itself could only deepen our despair. But with His proclamation of’ the law there went His proclamation of the gospel; with His pronouncement of the Divine judgment upon sin there went His offer of Himself as Saviour. When that offer was received in faith, there was not only cure of bodily ills, but also forgiveness in the presence of God. At first faith was implicit; men trusted themselves to Jesus without fully knowing how it was that He could save. But even while He was on earth He pointed forward with ever increasing clearness to the redeeming work which He had come into the world to do. And at last, on the cross, that work was done. The Divine Saviour and Lord, for the love wherewith He loved us, bore all the guilt of our sins, made white and clean the dark page of our account, and reconciled us to God. There is the centre of our religion. But how pitiful are my words! I may perhaps make men understand what we think, yet I can never quite make them sympathize with what we feel. The holy and righteous God, the dreadful guilt and uncleanness of sin, the wonder of God’s grace in the gift of our Saviour Jesus Christ, the entrance through Christ into the very house of God, the new birth by the power of God’s Spirit, the communion with the risen and ascended Lord through His Holy Spirit present in the Christian’s heart – these are the convictions upon which rest our very lives. If these convictions are false, they must be given up. But so long as we think them true we must act in accord with them, and it is morally wrong to ask us to do otherwise. At this point appears the profoundly unethical character of most of the proposals for Church union that are being made at the present day. The right way to combat us who call ourselves evangelical Christians is to combat honestly and openly our central convictions as to God and sin and redemption, not to ask us to hold those convictions and then act contrary to them. So long as we think as we do, we cannot, if we love our fellow men, allow them, so far as our testimony is concerned, to remain satisfied with the coldness of what we regard as a baseless and fatal optimism. We must endeavor, by the preaching of the law of God and of the gospel of His love, to bring them into the warmth and joy of the household of faith. [This work by Dr. J. Gresham Machen was first issued as a chapter in the book, My Idea of God, published by Little, Brown and Company, Boston, 1927, and appeared on pages 39 – 50 of that volume.] To view or download a PDF of this work, click here. The Strange Church Trial of a Spiritual Giant. McIntire: Defender of Faith and Freedom. 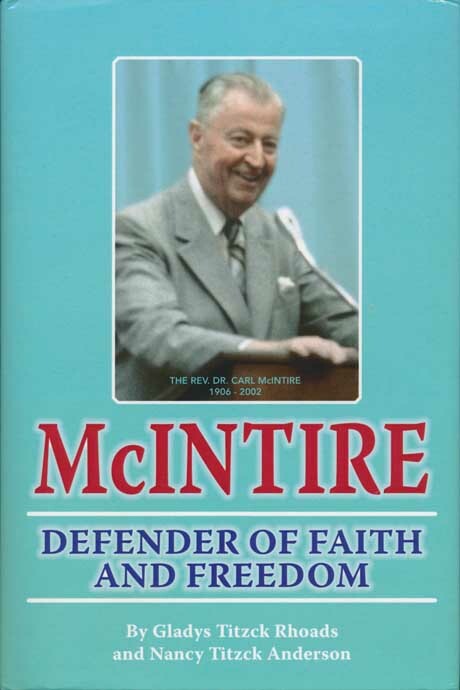 Our readers may want to know of a biography written of Dr. McIntire and published in 2012. Written by Gladys Titzck Rhoads and Nancy Titzck Anderson, it is a friendly account of Rev. McIntire, written by authors who knew and worked alongside him. Published by Xulon Press, the ISBN number for this volume is 978-1-61996-232-3. Our thanks to the Rev. Brad Gsell for his donation of a copy of this important work. It isn’t often that someone in the rough and tumble of ministry in Reformation Scotland would even think of finding a wife. But our Presbyterian founder, John Knox himself, found in God’s providence, two wives who were willing to take his life as their own. His first wife was Marjorie Bowes. We don’t know much about her history, and no date on which to place down a separate post on her. She is mentioned twice in “The Reformation in Scotland.” The first reference is on page 119 where it states that John Calvin invited him to Geneva. Knox sent on his wife and her mother there, and followed them after a time. Then on page 240, it is stated that Knox “was in no small heaviness by reason of the late death of “his dear bed-fellow”, Marjorie Bowes. 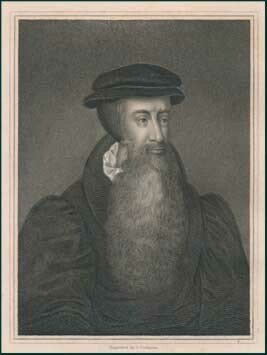 A footnote mentions John Calvin writing to a Christopher Goodman on 23rd April, 1564, “I am not a little grieved that our brother Knox has been deprived of the most delightful of wives.” This note spoke of the grief of our Reformer, for his wife had died four years earlier in 1560. This first marriage union brought into the family two sons, who were both youngsters at the time of her death, namely Nathaniel and Eleazer. Both would grow up, but not leave any heirs due to their singleness. Four years after the death of his first wife, John Knox met his second soon-to-be wife, Elizabeth Stewart, youngest daughter of Andrew Stewart. Their family was staunchly Protestant, though related to Queen Mary at the time. And indeed, she was taken in marriage on March 26, 1564, when she was but 19 years of age, by the Reformer when he was in his late fifties. Their “courtship” was interesting to say the least. “John Knox, before the light of the Reformation broke up, traveled among several honest families in the West of Scotland, who were converts to the Protestant religion. Particularly he visited often Steward, Lord Ochiltree’s family, preaching the gospel privately to those who were willing to receive it. The Lady and some of the family were converts. “The Lady accordingly addressed herself to her eldest daughter, telling her she might be very happy if she could marry Mr. Knox, who would be a great Reformer, and a credit to the church; but she despised the proposal, hoping that her ladyship wished her better than to marry a poor wanderer. “The Lady addressed herself to her second daughter, who answered as the eldest. Now this marriage does not resonate with twenty-first century standards of American Christians, nor did their age difference resonate with seventeenth century Scottish Christians. But she lived as his wife, with a family of five, three daughters and two adopted sons, for the next eight years. All three daughters married and brought forth children of their own to continue the line of John Knox. After his death, the General Assembly granted her his pension for a year. She married again and went to be with the Lord in 1612. Words to Live By: God often works by mysterious providence to accomplish His sovereign purposes, including that of the bond of marriage. James died in 1625 and left all his British dominions in a state of religious ferment to his unfortunate son, Charles I. Charles inherited the self-sufficiency of the Tudors through his mother, and the blind egotism of the Stuarts through his father, and illustrated in himself the vices of both. He early fell under the influence of William Laud, and finally made Laud the Archbishop of Canterbury, and so Primate of all England. James I., in his very earliest dealings with the English Parliament, intimated that the duty of Parliament was to register his will, and was told by Parliament that the rights of the people represented therein was quite as sacred as the rights of the king. Charles followed his father’s policy, only pushing it to the extent of undertaking to do without any Parliament whatever. Archbishop Laud was essentially a Roman Catholic, and with this dictatorialness on the part of the king in civil matters, and Laud’s dictatorialness in religious matters, affairs swiftly came to a struggle for life. The people would not pay taxes which Parliament had not voted. Parliament would not vote supplies for the king until he had redressed their grievances. The king insisted “supplies first and redress afterward.” The lines were soon drawn throughout the kingdom. One Parliament would be dissolved and another elected, until in the struggle the people grew weary of Episcopacy and finally elected the Long Parliament. It originally had in it a majority favorable to Presbyterianism as against Episcopacy. It was the project of that Parliament to call in Westminster an Assembly “for settling the government and liturgy of the Church of England, and for vindicating and clearing of the doctrines of said Church from false aspersions and interpretations as should be found most agreeable to the Word of God, and most apt to procure and preserve the peace of the Church at home and near agreement with the Church of Scotland and other reformed churches abroad.” This ordinance was entered at full length on the journals of the House of Lords, June 12, 11643. King Charles, two days before the meeting, prohibited by royal proclamation the Assembly to proceed under the bill. He had already revived the “Book of Sports,” and otherwise outraged the moral sentiments of his people. Under the influence of Laud, he had undertaken to re-establish Episcopacy in Scotland, and on the 23d of July, 1637, the Archbishop of St. Andrews and the Bishop of Edinburgh assembled an audience in St. Giles Church to introduce the new liturgy. When the famous Jennie Geddes started the riot that day, by throwing her stool at the reader, Scotland had already organized its form of church government and was anxious for a common system with England. The English Parliament had invited the General Assembly of Scotland to send delegates to this Westminster Assembly and so Commissioners arrived from Scotland, at the head of whom was the notable Alexander Henderson. In this Westminster Assembly, sitting in defiance of the king, were thus gathered the chief representatives of the British Presbyterians. Close correspondence was maintained with the Reformed Church on the Continent. While the Long Parliament was in session in their House, this Assembly was in session in the Jerusalem Chamber of Westminster Abbey. 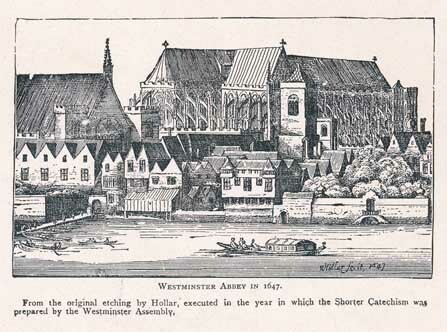 The first meeting of the Westminster Assembly was held Saturday, July 1, 1643; its last numbered meeting was held on the 22d of February, 1649, and is marked “Session 1163.” One hundred and twenty ministers, ten lords and twenty commoners were chosen to membership in it by Parliament. Of those thus elected many declined, but at different times ninety-six of them sat as members. Two months after it first met the commissioners from Scotland, four ministers and two laymen, took their seats, yet without the right to vote. On December 6, 1648, Parliament was purged of its Presbyterian membership, leaving just 140 members and the constitution of England was virtually overthrown by Oliver Cromwell and his army. The Assembly was never officially dissolved. Its power waned with that of Parliament, and so vanished. The last pretense of a meeting of the Assembly took place on March 25, 1652. Creeds and confessions, documents such as the Westminster Confession of Faith, serve to provide unity among Christians. They are in effect a commentary on the Bible, a succinct statement of what we believe the Bible teaches. As we jointly hold this Confession, affirming it together as a faithful representation of what the Scriptures teach on these matters, so we have unity and we uphold the truths of the Scriptures, insofar as we best understand them. A careful look into the published works of the Ligionier Study Center will reward you with books and videos all written and spoken by John Gerstner. His primary work would be his three volume book on “The Rational Biblical Theology of Jonathan Edwards.” He became the authority on the life and ministry of this greatest of all American theologians. “The trouble with secularism is the world itself. It always proves to be a mere shadow. Those who are most successful in acquiring it suffer the greatest disillusionment. It is a notorious fact that the wealthiest persons, unless they be truly religious persons, are the most bored, the least happy. They are always piling up but never possessing anything. Their experiences, like the Preacher’s, lead to the dirge: “All is vanity and vexation of spirit under the sun.” Secularists are bent on pleasure, but ‘she that liveth in pleasure is dead while she liveth.’ Animals can eat, drink, and be contented, but man cannot. He cannot be contented without these physical gratifications because he has his animal appetites, but being more than an animal he cannot be content with only them. He cannot live without bread, but neither can he live by bread alone. “The second cardinal defect in secularism is the loss of the other world which it spurns. Man cannot be happy with this world, nor can he be happy without the other. Even if he disbelieves the other world he cannot escape it. He cannot escape it even now. He cannot be sure that there is not an eternal world. He may disbelieve it, but he cannot, try as he will, disprove it. As Shakespeare has said, he is afraid to ‘shuffle off this mortal coil’ with all its griefs because he does not know what lies ahead. He may have doubts about God, but who has ever demonstrated His nonexistence? How can man satisfy himself that there is no heaven which he may miss nor any hell which he may enter? The slightest possibility of these things—and who can deny their possibility?—utterly unnerves the secularist. She is not lost to you, who is found to Christ. Earlier this week we wrote briefly of the life and ministry of the Rev. Samuel Rutherford, one of the Scottish commissioners to the Westminster Assembly. From among his letters, the following letter to Lady Kenmure, upon the death of her infant child, is perhaps one of the better examples of Rutherford’s pastoral quality, which at heart, boils down to pointing his flock to Christ in all of life. What better counsel could he give? MADAM, — Saluting your Ladyship with grace and mercy from God our Father and from our Lord Jesus Christ. I was sorry, at my departure, leaving your Ladyship in grief, and would be still grieved at it if I were not assured that ye have one with you in the furnace whose visage is like unto the Son of God. I am glad that ye have been acquainted from your youth with the wrestlings of God, knowing that if ye were not dear to God, and if your health did not require so much of Him, He would not spend so much physic upon you. All the brethren and sisters of Christ must be conformed to His image and copy in suffering (Rom. 8.29). And some do more vividly resemble the copy than others. Think, Madam, that it is a part of your glory to be enrolled among those whom one of the elders pointed out to John, These are they which came out of great tribulation and have washed their robes and made them white in the blood of the Lamb.’ Ye have lost a child: nay she is not lost to you who is found to Christ. She is not sent away, but only sent before, like unto a star, which going out of our sight doth not die and vanish, but shineth in another hemisphere. We see her not, yet she doth shine in another country. If her glass was but a short hour, what she wanteth of time that she hath gotten of eternity; and ye have to rejoice that ye have now some plenishing up in heaven. Build your nest upon no tree here; for ye see God hath sold the forest to death; and every tree whereupon we would rest is ready to be cut down, to the end we may fly and mount up, and build upon the Rock, and dwell in the holes of the Rock. What ye love besides Jesus, your husband, is an adulterous lover. Now it is God’s special blessing to Judah, that He will not let her find her paths in following her strange lovers. Therefore, behold I will hedge up thy way with thorns and make a wall that she shall not find her paths. And she shall follow after her lovers, but she shall not overtake them’ (Hos. 2.6-7). O thrice happy Judas, when God buildeth a double stone wall betwixt her and the fire of hell! The world, and the things of the world, Madam, is the lover ye naturally affect beside your own husband Christ. The hedge of thorns and the wall which God buildeth in your way, to hinder you from this lover, is the thorny hedge of daily grief, loss of children, weakness of body, iniquity of the time, uncertainty of estate, lack of worldly comfort, fear of God’s anger for old unrepented-of sins. What lose ye, if God twist and plait the hedge daily thicker? God be blessed, the Lord will not let you find your paths. Return to your first husband. Do not weary, neither think that death walketh towards you with a slow pace. Ye must be riper ere ye be shaken. Your days are no longer than Job’s, that were ‘swifter than a post, and passed away as the ships of desire, and as the eagle that hasteth for the prey’ (9. 25, 26, margin). There is less sand in your glass now than there was yesternight. This span-length of ever-posting time will soon be ended. But the greater is the mercy of God, the more years ye get to advise, upon what terms, and upon what conditions, ye cast your soul in the huge gulf of never-ending eternity. The Lord hath told you what ye should be doing till He come; wait and hasten (saith Peter,) for the coming of the Lord’; all is night that is here, in respect of ignorance and daily ensuing troubles, one always making way to another, as the ninth wave of the sea to the tenth; therefore sigh and long for the dawning of that morning, and the breaking of that day of the coming of the Son of man, when the shadows shall flee away. Persuade yourself the King is coming; read His letter sent before Him, Behold, I come quickly.’ Wait with the wearied night-watch for the breaking of the eastern sky, and think that you have not a morrow. I am loath to weary you; show yourself a Christian, by suffering without murmuring; — in patience possess your soul: they lose nothing who gain Christ. I commend you to the mercy and grace of our Lord Jesus. Four days ago, you read the historical devotional on March 18, where we noted that the stated clerk of the first presbytery held in this country lost all but a short paragraph of the minutes of that meeting. In 1707, beginning on March 22, the second presbytery was held in Philadelphia. George McNish, one of the seven ministers present at this second meeting, was chosen Clerk of the Presbytery, while John Wilson was chosen the Moderator. Present also were teaching elders Jedidiah Andrews and Nathaniel Taylor. Francis Makemie would show up on the 25th of March. Ruling elders Joseph Yard, William Smith, John Gardener, and James Stoddard were present from several churches within the bounds of the Philadelphia Presbytery. Samuel Davis sent in his excuse as to why he missed the last Presbytery and would not be present at this meeting either. The presbyters did not sustain his reasons for his absence, and sent a letter to teaching elder Davis requiring him to be present at the 1708 presbytery meeting. He did, and they immediately elected him the moderator of the next Presbytery. It was on the 25th of March, 1708, that two biblical sermons were given onHebrews 1:1 and Hebrews 1:2 by teaching elders Francis Makemie and teaching elder John Wilson, which messages had been approved at the last Presbytery meeting. These texts were no doubt taken from the Genevan Bible, as that was the version carried over to these shores by the early Presbyterian pilgrims. And given the practice of early Scottish ministers, the length of the sermons easily could have been two hours long. We are told that both sermons were approved by the Presbytery. We conclude that their meeting was not unlike the gathering of Presbyterians in presbyteries across the modern world now. Sermons are preached, though not as long as these early expositions of the Word. Elections are held for presbyterial office. Excuses are considered as to absences, and approved or disapproved. Pastors without call are considered for vacant pulpits. Overtures are recommended, discussed, and voted upon by the presbyters. All in all, the work of the Lord began in Philadelphia, 1706, and continues today in hundreds of presbyteries across the world.